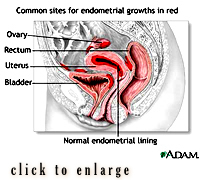 Endometriosis is the abnormal location of uterine tissue outside of the uterus. It is a fairly common condition affecting up to 10 % of women between age16 and 50, and is believed to be the cause of infertility in 30-50% of all infertile women. The cause of endometriosis is still unclear. Many women with high FSH (Follicle Stimulation Hormone) and /or POF (Premature Ovarian Failure) are told there is nothing that Western medicine can do to improve their chances of conception. However, utilizing acupuncture in conjunction with Chinese medicine can reduce FSH levels and improve egg quality by ensuring optimum health, increasing blood flow, and balancing reproductive hormones, as well as reducing stress—another common factor in infertility. Acupuncture and herbal medicine can alleviate many menopausal symptoms by stimulating endocrine systems to rebalance hormone production and reduce a wide variety of menopausal disorders. 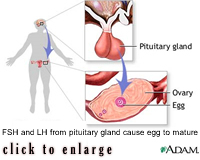 Polycystic Ovarian syndrome (PCOS) is a condition in which the ovaries develop multiple small cysts; it is often associated with abnormal or absent ovulation and, accordingly, with infertility.